East Versus West: Which Coast Offers the Best Camping Adventures? Weekend camping is fun, relaxing and a great way to easily “get away from it all” for a couple of days. But there are so many incredible sights to see in this great nation of ours you may be ready to venture out on a longer trip. So, which way do you head – east or west? Let’s take a look at these coastal options and see what they have to offer. Then you can decide which coast offers the best camping adventure for you. All that’s left is planning your trip! Some like it hot and some do not, so the shifting seasons offer you the opportunity to plan your camping experience in weather that is ideal for you. Summertime isn’t the only season to experience camping on the East Coast; don’t forget about the fall and winter weather! The autumn colors of the changing leaves are beautiful here in the Midwest, but you have never seen a color tour until you’ve experienced it East Coast style. Cooler weather can make for very enjoyable camping, especially since bugs and mosquitoes are practically non-existent come September and October. 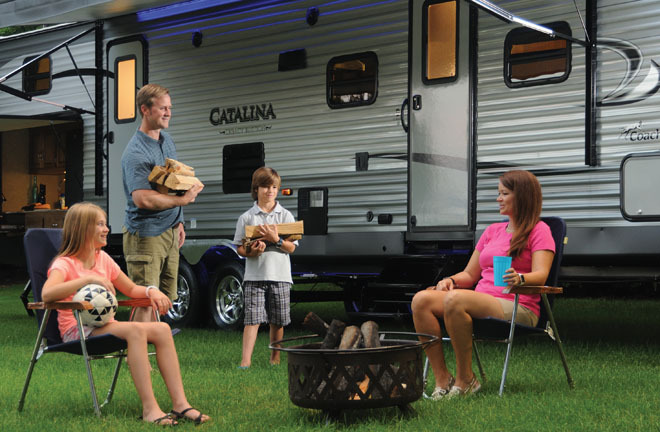 This Catalina RV is perfect for families who love to travel. Winter camping is another great option, especially if you enjoy skiing or snowshoeing. Some campgrounds in the Northeast are open year-round and cater to off-season and winter guests. Many state parks have groomed cross country ski trails, but most offer only primitive tent camping; no water is available and sites are not cleared. The East Coast is where our country started. Camp near Boston and you can soak up some history visiting the Boston Tea Party museum and the Old South Meeting House, or Paul Revere’s house. In the Boston neighborhood of Charleston, visit the Bunker Hill Monument and the USS Constitution. There’s also the Capitol. Camp near Washington, D.C. and immerse yourself in history as you tour the Lincoln Memorial, Washington Monument, Jefferson Memorial, the Smithsonian National Museum of National History, even The White House. In Virginia, you can visit Mount Vernon and Colonial Williamsburg. Camping is year-round in many state parks so you can learn about our country’s history and maybe even be inspired to “rough it” like the colonists. The east coast is much more populated than the wide open west but this can be an advantage. The population may be denser than it is out west, but there is also a higher concentration of campgrounds! This makes it easy to find one without going too far off the beaten path. This Wolf Pack works well for those who love adventure. There are less “wild and untamed” camping experiences in the East. 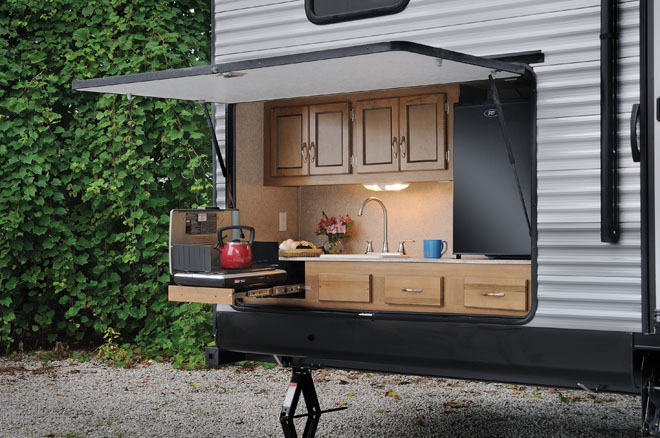 This is great for campers of any experience level and the accessibility makes RV camping less expensive and easier to navigate. Consistently ranked as one of the top camping destinations in the country, Acadia National Park is known as the Crown Jewel of the North Atlantic coast. Breathtaking views captured by the brushstrokes of artists like Thomas Cole inspired many to visit Mt. Desert Island in the mid-1800s. This East Coast treasure became a National Monument in 1916, a National Park in 1919 and officially named Acadia National Park in 1929. Acadia consists of more than 47,000 acres and boasts sandy beaches, Thunder Hole, 158 miles of hiking trails and even a light house. 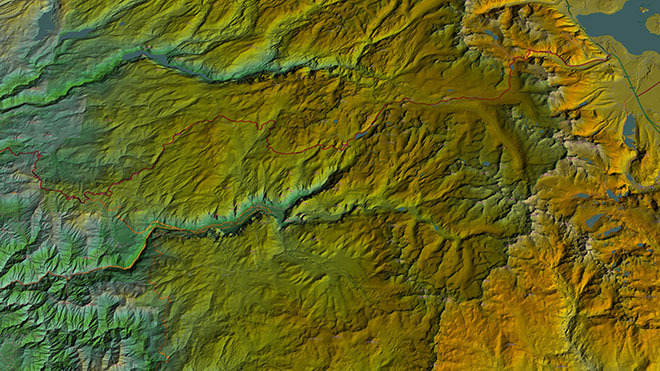 Over 20 mountains grace Mt. Desert Island. Cadillac Mountain, the tallest mountain peak along the eastern coast, offers unbelievable views. From October through March it is the first place to see the sun rise in the U.S. Incredible sunsets can be seen from the summit as well. You can drive up Summit Road to the top or choose one of the hiking trails. It will be nearly impossible to put your camera down as you take in the incredible views of the ocean shoreline, coastal forest and mountain terrain along the 27-mile Park Loop Road. There are three park campgrounds and over a dozen campgrounds near the park. 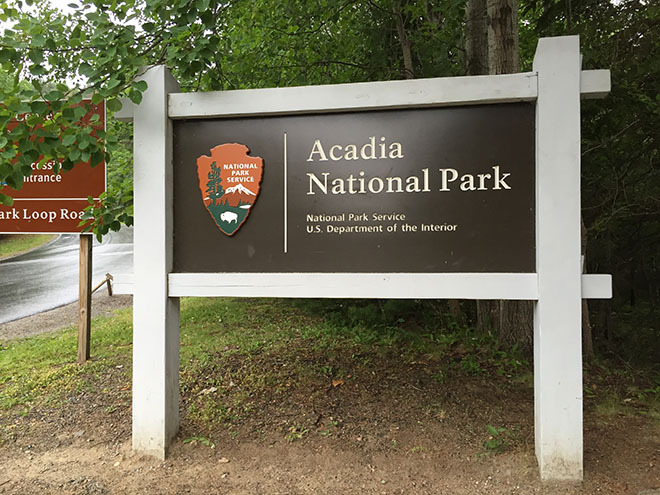 For history buffs, less than an hour away from Acadia is Fort Knox, Maine’s most-visited state historic site. No, there’s no gold, simply a very well-preserved fort that was established in 1844 to protect the Penobscot River against possible British attack. Kids will love to explore the dark passages (bring flashlights!) and looking down the barrels of huge cannons. The adjacent Penobscot Narrows Bridge is 447 feet tall, boasts the tallest bridge observatory in the world at 420 feet, and offers incredible 360-degree views of the Penobscot River Valley. There’s no less than 840 miles of Pacific coastline in California and countless areas of camping available. You can camp right on the beach or underneath a towering redwood tree. Not to add a North vs. South debate, but with all those miles of coastline, there are many different types of experiences to be found in just one state! Freezing temperatures are rare, even in winter, so the lack of snow makes travel easier. Northern California has great weather from spring through fall and, although winter can be rainy and gets dark rather early, it’s the least popular time to visit so it’s also the least congested. Take advantage of the west coast’s beautiful weather with an outdoor kitchen on your Catalina Legacy. Southern California has comfortable weather year round and the warmer, less humid weather makes camping more comfortable during the colder months of the year. There are plenty of beach camping options from L.A. to San Diego and many of them are for RVs only! Consisting of over 163,000 square miles, California offers hundreds of acres of wild, untamed nature and expansive camping experiences. This vast natural “playground” is well-suited for those who like to boondock or camp off the grid. 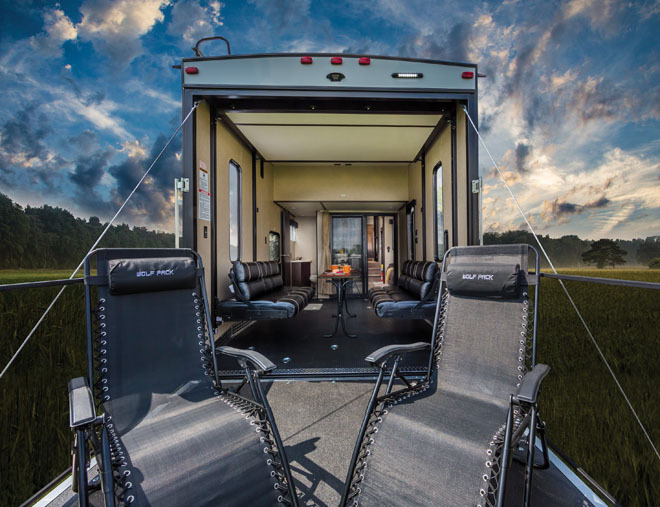 Take your luxury RV into the California woods. Though brimming with trees, the west coast forests are less dense than forests on the east coast making parks feel more open and spacious. Outside of the forests, the wide-open areas are great for star gazing and enjoying solitude without feeling claustrophobic. Nearly 1,200 square miles of nature and adventure are waiting for you in Yosemite National Park. First protected in 1864 and officially becoming a national park in 1890, Yosemite is one of the first five national parks to be established in the United States. Giant sequoias and cascading waterfalls are just the beginning of the amazing sights that abound in one of our nation’s oldest state parks. Voted the U.S. News #2 Best National Park in the World, it’s no wonder that over four million people visit Yosemite each year. To avoid traffic delays, it is recommended to keep your car parked at your campsite and utilize the shuttle system to travel around the park. There are ten campgrounds that can accommodate RV camping in Yosemite. There are also plenty of campgrounds around the park since the park campgrounds fill up quickly. 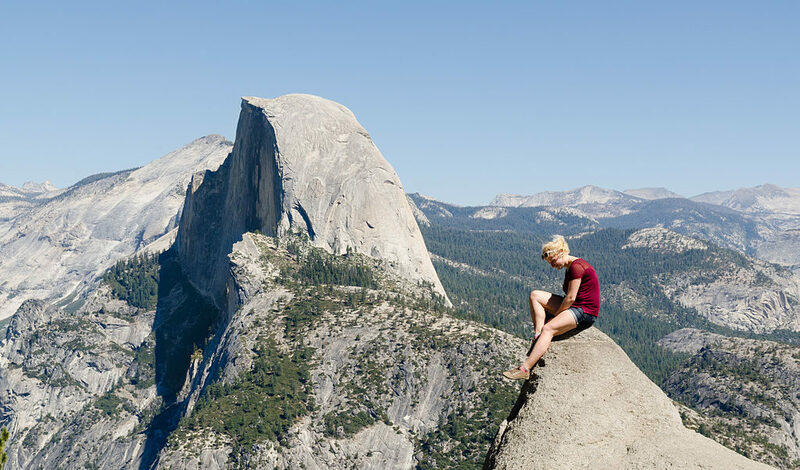 Some of the must-sees are Half Dome, Glacier Point and Mariposa Grove. If hiking is your thing, Mist Trail is something you won’t want to miss. While Yosemite Valley is one of the most popular spots in the park, beautiful views and less people will be found on Tioga Road. A scenic, 47-mile drive, this seasonal road offers views of lakes, forests, meadows and granite domes. It will also take you to Tuolumne Meadows which has a large number of hiking trails not as frequently visited and therefore less crowded. Trails range from 1 ½ to 11 miles so there is something for everyone. East Versus West: The Winner? Both! Traveling to both coasts will be enjoyable and unforgettable. Of course, you can’t be in two places at once…especially on both coasts! Advance planning is paramount to your budget and your blood pressure! Don’t let the unexpected quash your coastal adventure – no matter which coast you choose. You may decide to start with the East Coast if you are new to camping and/or have less time to travel. Toledo to Acadia National Park is over 1,000 miles. If you break up the 15-16 hours on the road and plan a two-day drive there and back, you can still have several days to enjoy the sights. 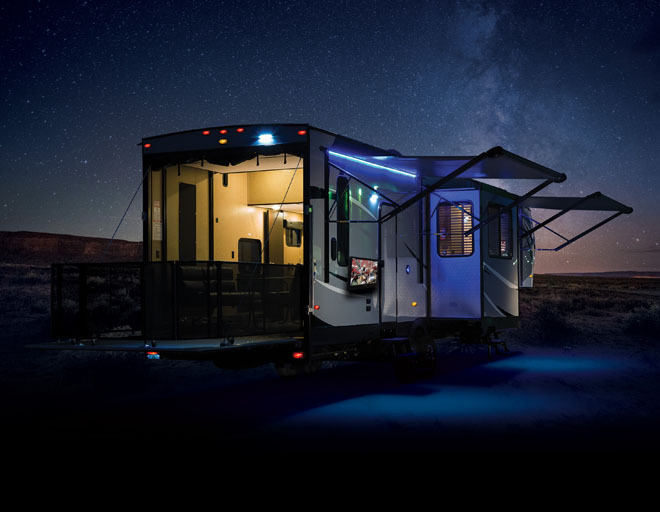 This Wolf Pack RV is an excellent choice for long trips. Once you have the camping routine down (and some vacation time saved up!) a trip out to California will be quite an adventure. From Toledo, it’s nearly 2,200 miles to Yosemite National Park. You’ll most likely want to break that 32-hour road trip into three or four days each way. A cross-country trek is the perfect time to break out the road games to keep the kids engaged. With so many incredible places to see out west, you may want to plan your trip to include other sights along the way. No matter which direction you choose to head, a trip to either coast isn’t just a weekend getaway. Be sure to plan accordingly and enjoy the most of your vacation! 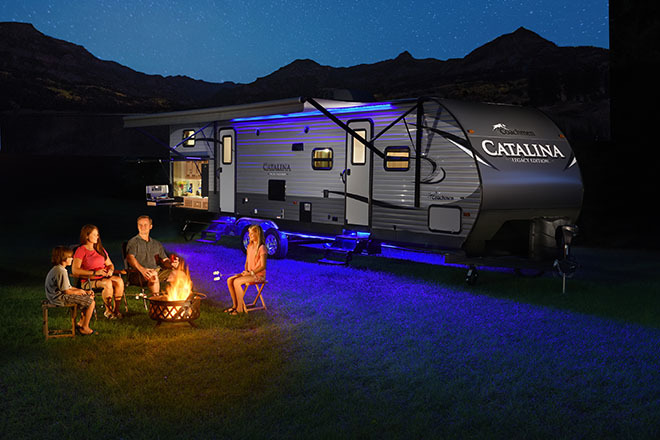 The best camping adventures start with a great RV! The professionals at RV Wholesale Superstore are ready to help you find the ideal RV for your budget! Visit us in-person at 5080 W. Alexis Road, in Sylvania, OH or call us at (866) 596-7767.